Thursday, Jan 10th — 7PM - 9PM Come on down, grab some grub, some drink, and bop to some homemade '“slop jar delta funk”! with Nick Vigarino and Larry Dennis. Having earned finalist status at the 2011 International Blues Challenge in Memphis, "NICK VIGARINO'S BACK PORCH STOMP" is now globally recognized as one of the top Blues acts in the world! Be it a juke or a major festival, Nick delivers the story with a stinging guitar second to none. 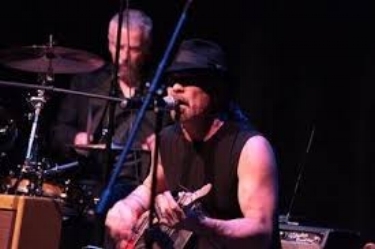 NICK VIGARINO is the 2016 recipient of the Best Slide Guitar award, Lifetime Achievement award, and has been inducted into the Washington Blues Society Hall of Fame. Bringing a wealth of blues/rock experience to the duo, percussionist LARRY DENNIS elevates this style to a place where roots are respected, yet nudged towards the future.